Undeniably one of the best units at Snowflower, this 4 bedroom, 4 bath unit has had a striking remodel and enjoys a much desired corner location just steps to the Ski Area’s base. The Snowflower complex has had a $2,500,000 extensive remodel of the building including a new refaced exterior, new exterior lighting, new windows, remodeled conference area, and new railings throughout. Essentially a new luxury condo being sold for a fraction of the price, the interior renovation included new alder doors and trim, remodeled bathrooms, new carpeting, new tile, lighting fixtures, paint, and blinds. A new kitchen was also added and completed with alder cabinets, stainless steel appliances, and granite counters. To finish off this dream package, the living and dining area have an open floor plan with deck access offering warm southern exposures of South Valley & the Flat Tops. 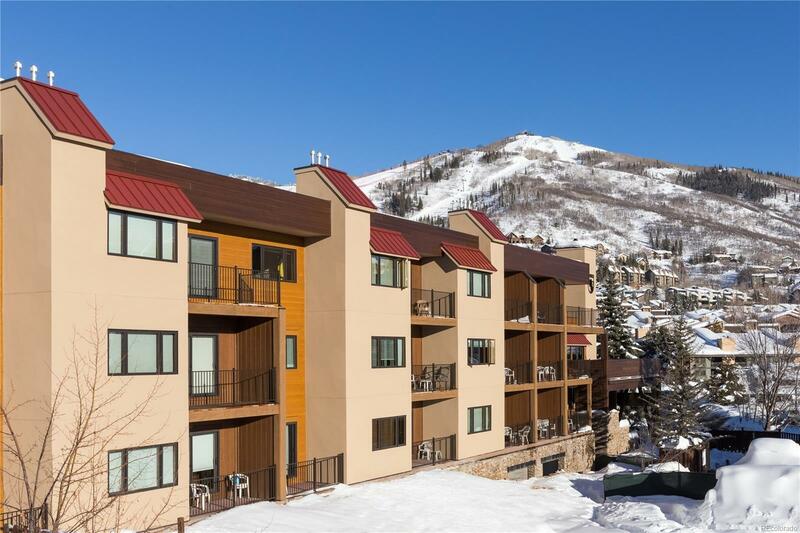 With walk-to-ski access, a parking garage as well as an outdoor pool and hot tub, this condo is not to be missed.